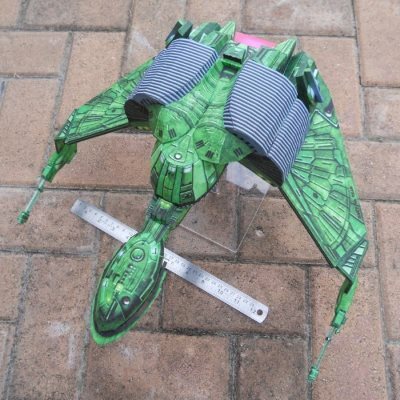 This giggi papercraft was based on a 3D model from the Monster Hunter Tri video game. A giggi, according to the creator of the paper model, is the "small leech-like larvae of the Gigginox" which slowly follows hunters and latches onto them unless shaken off. PDF and Pepakura PDO templates for the little paper monster may be downloaded here. Monster Hunter Tri was originally released in 2010. 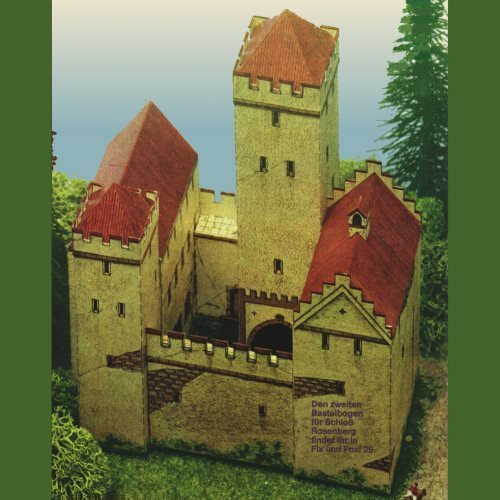 This paper model castle was originally published in the German language children's magazine Fixi und Foxi in 1983. The interesting thing about this particular model is that it was designed by Schreiber, a well known publisher of card models. The four page template for the model may be found here. I am unsure if this papercraft is a real or fictional building. The official title of the model is "Schloß Rosenberg" but a quick Internet search of that name did not reveal any real life buildings that look remotely like the model. If you have more information about this building please let me know. Who would have thought when Despicable Me first came out that the Minions would become so immensely popular? Yet here they are even showing up as Easter decorations. 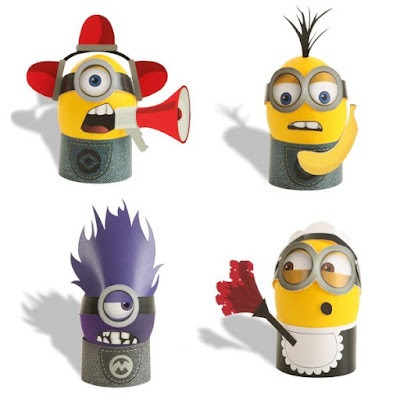 These printable Minion Easter egg holders are offered by Fun.com. The only drawback to a Minion themed Easter is that all the eggs end up being yellow. That is unless you create some evil purple Minions as well ;) Included in the download are a collection of miscellaneous parts so you can create your own custom Minions. In the Naruto franchise, Kakashi Hatake is a fan favorite character who makes frequent appearances in the franchise's movies, television shows and video games. Kakashi is the leader of a team of ninjas known as "Team 7". The members of the team include Naruto, Sasuke, and Sakura. 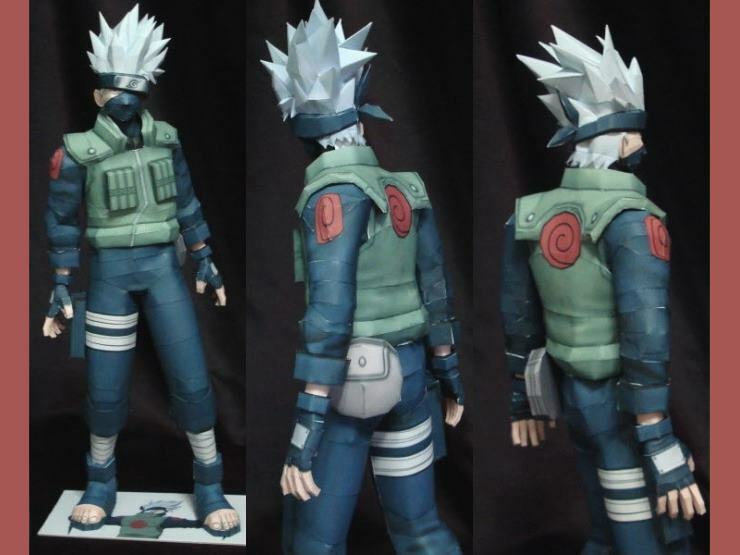 This paper model of Kakashi was created by Coturno Velho. A download of the Pepakura PDO template for the model may be found here. Build photo by Sinsis. This Siberian chipmunk papercraft is one of several paper models of animals available from the Konica Minolta website. The Siberian chipmunk is the only chipmunk whose natural habitat lies outside of North America. A PDF template and instructions for the model may be downloaded here. Unlike most Pikachu origami around, this piece is 3D rather than flat. Pikachu is arguably the best loved (and cutest!) pocket monster in the Pokemon franchise. 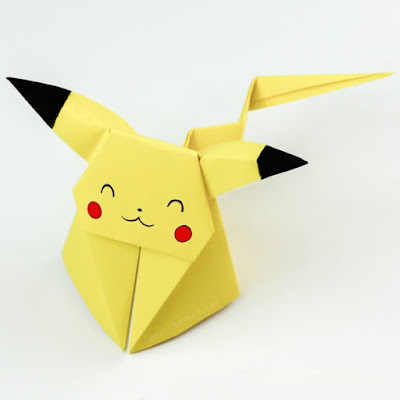 If you would like to try your hand at folding a Pikachu for yourself, an excellent instructional video found here will show you how. Build photo by Paper Kawaii. 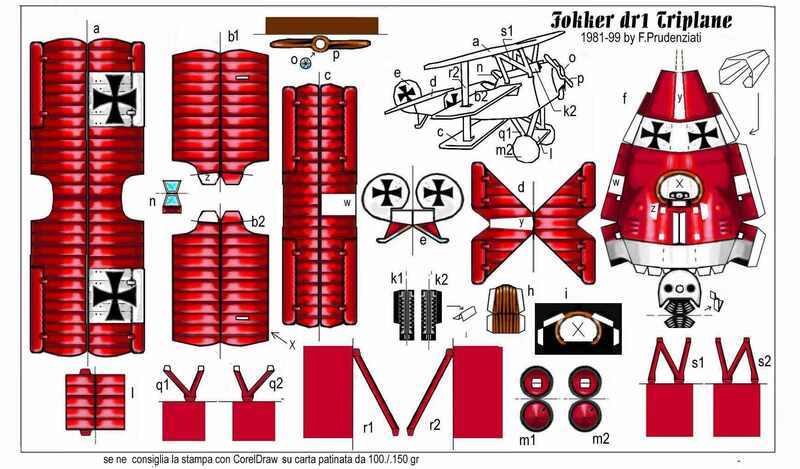 This relatively simple paper model of a Fokker DR1 triplane is the work of the late, great Italian designer Fabrizio Prudenziati. 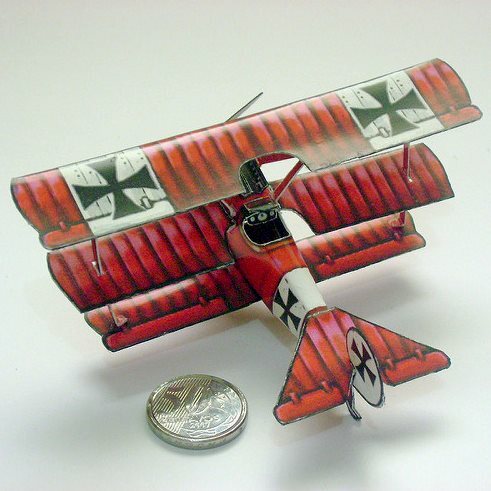 The World War 1 aircraft's fame in the history of aviation is due to its use by the Red Baron, Germany's top flying ace of the war. The single page template for the model may be downloaded here. Build photo by Lincoln Souza.